Story — Christopher Kennedy Inc.
I’m just a Golden State guy through-and-through. Sprawling ranch houses, draperies blowing in the breeze, afternoons in the pool: these things are in my blood and in my soul. I am especially fond of afternoons in the pool. Because my father was older when he had me, at age 56, he retired when I was quite young. After my parents’ divorce I spent summers and winter holidays with him in the Bay Area. We would swim in the pool much of the day, happily doing laps and frolicking. We took road trips to Hearst Castle (where architecture and design first captured my attention), Big Sur, and the Oregon Coast. Monterey’s Concours d’Elegance car show was an annual tradition. I believe in traditions. I believe in rituals of hearth and home. I believe in chopping vegetables, wrapping presents, and setting the table. Call me sentimental. I miss the days when people got dressed to go on airplanes – or even just to dinner. I miss the time when families sat down to dinner together; when people would talk and not just text; when kids would stay outside and ride bikes until sundown; when our country was less fractured; when common courtesy was, well, common. As I look at my body of work, after nearly 15 years in the design business, it becomes evident that I am decidedly nostalgic. But I don’t feel that I am nostalgic for a certain architect, a certain form, or a certain chair. Rather, I am nostalgic for that simpler, more gracious time. I think that we as a society have a similar collective yearning. So welcome, friend. Design; create; dream. And, by all means, dream in color! The past is our muse and the future our canvas. A Golden State of Mind describes Christopher’s attitude towards design – and life. With a belief that surroundings should inspire, and that good design impacts our lives for the better, Christopher creates dazzling interiors and products that are refreshingly exuberant. Combining Jet-Set nostalgia with California modernism, Christopher’s work and products have been featured by Dwell Magazine, Luxe, Interior Design, Elle Décor, California Homes, Traditional Home, Coastal Living, California Home + Design, Architectural Digest and The Los Angeles Times. Dubbed “The Ralph Lauren of the West Coast”, this prolific designer has a growing product brand the exemplifies the modern California lifestyle. Christopher’s collections include a comprehensive luxury furniture line of upholstery and casegoods, an artwork collection for Wendover Art Group, candles, bedding, and outdoor pottery in collaboration with Habitudes. All products are available at our shop in Palm Springs and fine retailers nationwide. 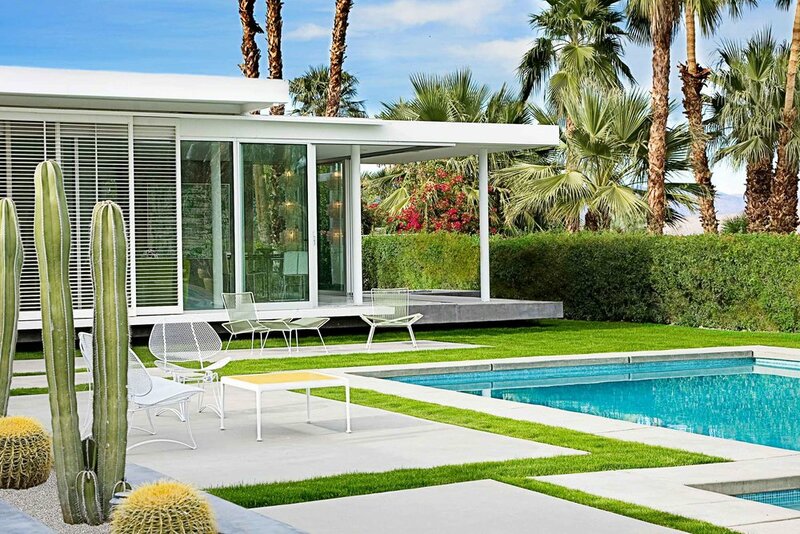 Christopher is the author of two design books: 2015’s California Modern and 2017’s Making Midcentury Modern. Born in San Francisco and raised on California’s Central Coast, Christopher brings a synthesis of big-city style and relaxed resort living to his work. He received Bachelor of Architecture and MBA degrees from Drury University.